Olivier Deriviere is a classically-trained game and movie composer best known for his work on the Obscure, Alone in the Dark, and Rememeber Me franchises. Born on December 26, 1978 in Paris, Deriviere’s parents were great music lovers who encouraged him to play music from a young age. Through their influence, he studied classical percussion and piano at a conservatory from the age of five. Deriviere also felt fascinatied by computers from a young age and ended up playing numerous games on the Commodore 64, Amiga, and Atari ST. He loved the music for such titles and ended up recording them on tape. Soon enough, he decided that he would like to create video games too and realized that the best way to participate was to use his musical talents. Together with several fellow enthusists he met at coding parties, Deriviere lanched the demoscene group Falcom 030 at the age of 14. He created tracker-based music for several of their demos and later helped to create a full level of a shoot ’em up game. The artist also continued to listen to a diverse range of music as a teenager; always keen to embrace novel and creative approaches, he gained particular admiration for Dimitri Shostakovich, Peter Gabriel, and Aphex Twin. In early adulthood, Deriviere pursued further training as a musician. He studied composition, harmony, and orchestration at the National Conservatoire in Nice Conservatoire under Jean Louis Luzignant, before winning a scholarship to study jazz and film scoring at the Berklee College of Music; in addition to working under collegiate academics, he spent an entire season with the Boston Symphony Orchestra, interacting with names such as Seiji Ozawa, Ilan Volkov, and John Williams. Between his studies, he released the experimental solo Harry’s Day in 1999, telling the story of a man dying due to a broken heart. Back in France, he founded a percussion quartet at the Cagnes-sur-Mer Conservatoire and wrote arrangements of his favourite film scores on their behalf. Also making connections in the French film industry, he produced additional music for artistically challenging productions on behalf of Bruno Coulais and Laurent Petitgirard. As an independent composer, he also worked on several interesting film and television projects. His work gained recognition at eminent film festivals with his songs for the short film The Toast (aka La Tartine), a musical featuring a singing breakfast. He also wrote instrumental soundtracks to È Pericoloso Sporgersi, Tempora, Cub, The Solitude of the Garbage Man, The Passenger, and At the Back of the Lorry. While Deriviere enjoyed working on these films, his aspiration was to working on video games. After all, he had remained an avid video game fan since his youth and realized there were many artistic opportunities in this medium. 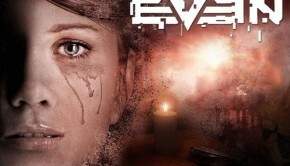 Thanks to the connections he made during his demoscene days, he was delighted to be given the opportunity to writing a haunting choral score for 2004’s Obscure, a survival horror title from Hydravision Entertainment. Aware there wasn’t a budget for a full orchestra, he elected to mix samples from the realistic Vienna Symphony Library with haunting recordings from the Children Choir of the National Opera of Paris. For the sequel Obscure: The Aftermath, Deriviere produced a more mature, impacting score blending textural choral work with performances from the Boston Quartet. As the sound director and lead sound designer on this project, he also carefully considered how audio as a whole would bring the experience to life. Between his work on this project, Deriviere also explored creating large-scale orchestral sounds with the swashbuckling score to Kheop Studio’s Destination: Treasure Island. Also keen to expand his horizons into new genres, he also wrote light-hearted music for Championsheep Rally and My Little Flufties. Deriviere appreciated the close-knit development approaches of these smaller-scale projects, which were reminiscent of his demoscene days. In 2008, Deriviere came to international attention with his four hour soundtrack to Hydravision’s Alone in the Dark. With this score, he wanted to transcend beyond the “mere background music” and demonstrate the dimensions music can bring to games. Both narratively-driven and highly adaptive, the soundtrack helped to immerse players into both action and atmospheric scenes. Intent on matching the production values of a movie blockbuster, the artist put much effort into the composition and implementation of the score, and recorded several setpieces with The Mystery of Bulgarian Voices. While the game received mixed reviews, its musical highlights were published on a well-received album by Milan Records and were also brought to the stage. His music from both this title and Obscure: The Aftermath was celebrated at the Games in Concert series in Utrecht and — in an especially memorable experience for Deriviere — and a one hour symphony dedicated to his works at Nice. Though his primary focus had become game scoring, he was also commissioned to produce several pieces of art music, namely a mass and an opera for live performance. While these projects were challenging and time-consuming, they were also incredibly satisfying for him — both due to the creative aspect and the opportunity to interact with interesting, talented people. In June 2010, Deriviere formally established the music production company AMEO Productions together with his sister. Driven by the mottos “quality”, “identity”, and “interactivity”, the company specialises in dynamic, authentic original scores for video games. The company includes composer and artistic director Olivier Deriviere, project manager Marion Deriviere, and several assistant sound designers. While establishing the company, Deriviere widened his portfolio with several new projects. 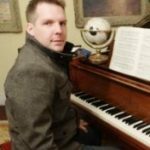 He reunited with Kheops Studio to write the music for The Fall Trilogy, an episodic point-and-click puzzle adventure released over three years. 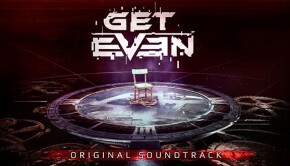 Given the nature of the visuals and gameplay, he opted to produce a subtle soundtrack that nevertheless was dramatic and thematic when desirable. 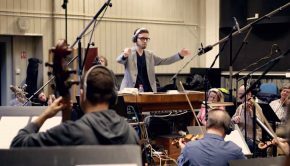 The artist immersed young audiences with his warm and whimsical tracks for the video game adaptation of Disney’s Tangled, all vibrantly orchestrated and implemented using custom samples. In other novel projects, he wrote several fantasy orchestrations for the cinematics of the browser-based MMO Heroes of Might and Magic: Kingdoms, between writing some fun folk-influenced tunes for mini-game compilation Team Elimination Games and a low-key medieval-themed soundtrack for the casual smartphone title Cardboard Castle. He also continued to write emotionally driven scores for several short film projects, namely Funny Stories, Wild,, and Philea’s Fortune. 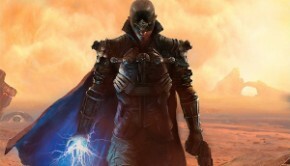 In the past year, Deriviere has further demonstrated his creativity on several high-profile game soundtracks. His music for 2012’s Of Orcs and Men won tremendous acclaim from game players and album collectors alike for its memorable compositions and unique approach. The soundtrack was mostly comprised of cello and percussion performances from the Boston Cello Quartet and percussion instruments; the tracks nevertheless exhibited much variation in texture and mood, spanning heroic overtures, to visceral action tracks, to more subdued and introspective moments. 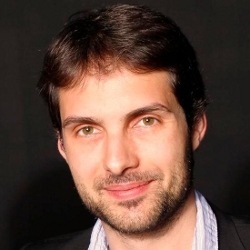 After submitting a daring pitch, Deriviere was also appointed the composer of Dontnod Entertainment and Capcom’s Remember Me early in its development. Inspired by Aphex Twin’s Druqks, the lavishly produced score blends performances of the Philharmonia Orchestra — recorded by famed engineer John Kurlander — with extensive electronic manipulations. The emotional cues are intricately interwoven throughout the game to reflect the loss and reconstruction of the memories of protagonist Nilin. Always interested in working on interesting projects, no matter how small, he has also wrapped up work on two indie titles. He captured the vibrant gameplay of Harold by blending performances of the Leroy Streat’s Gospel Choir with Caribbean, Arabic, and dubstep rhythms. The artist has also adopted a cold ambient style for Bound By Flames. Deriviere consider video games to be the most innovative medium for music-to-visuals at the moment and tries to push artistic boundaries with each one of his diverse game scores. © Biography by Chris Greening (September 2007). Authorised by Olivier Deriviere. Last updated on May 19, 2013. Do not republish without formal permission. Posted on May 19, 2013 by Chris Greening. Last modified on April 7, 2014.